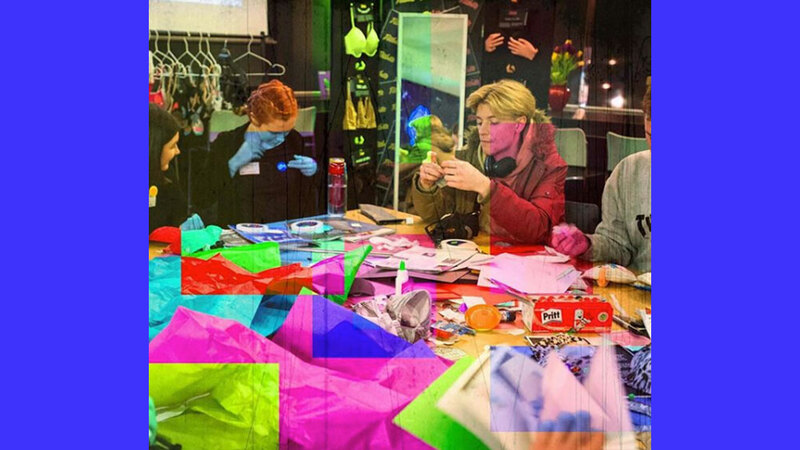 This family-friendly ‘albion fair’ style event is part of Citizen Sci-Fi, our 3-year programme crowdsourcing creative and technological visions of our communities and public spaces, together. Drop by or book ahead to take part in making, music, games, story-telling, experiments, performances, hacking, and many more kinds of creative trouble – with a focus on social justice and designing the futures we want for all life forms. AR- enabled sculptures and inflatables that are produced with and for learning disabled communities telling wild and magical stories about their experiences of the world. This live interaction with the works marks the beginning of a collaboration between Jason, Furtherfield and Pedal Power to produce an interactive sculpture with their members for Finsbury Park. Find a line to follow and face the future! Join the artists for playful time-bending walks. Dice will roll, cards will solicit and props will inspire. The walkshops will inform the creation of playful prompts for a map and a digital mobile app that will act as provocations for future park users. The app is launching at Free, Fair and Alive. Gathering together young people to explore the future of money in a world increasingly dominated by digital payments. 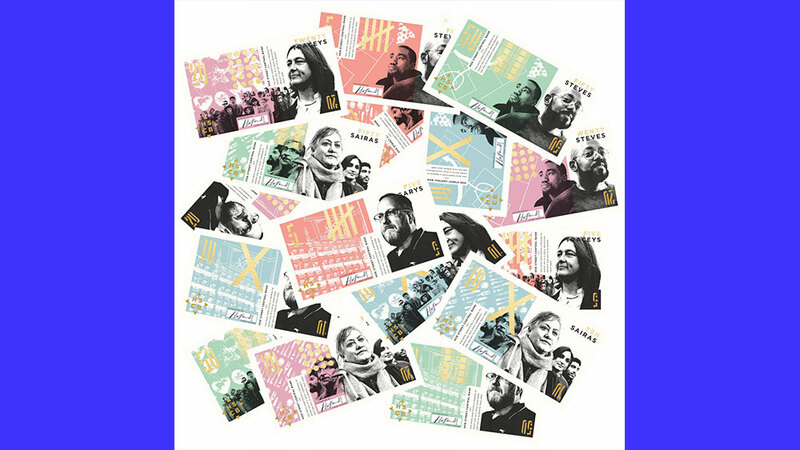 These summer 2019 workshops include experts in alternative currencies and will culminate in the production of a graphic novel about London’s future monies, copies of which will function as alternative currency notes. At Free, Fair and Alive there will be a mini-version of this workshop series for local people to design their own ‘park pounds’. Uncovering the feminist and queer history of Finsbury Park through interviews and historical research. Led by Conor Rigby and Andrew Mallinson of Feminist Internet the project will seek out dialogues embedded in the Park’s material history. A Feminist Internet Podcast and further material will be created to share the site-specific research. 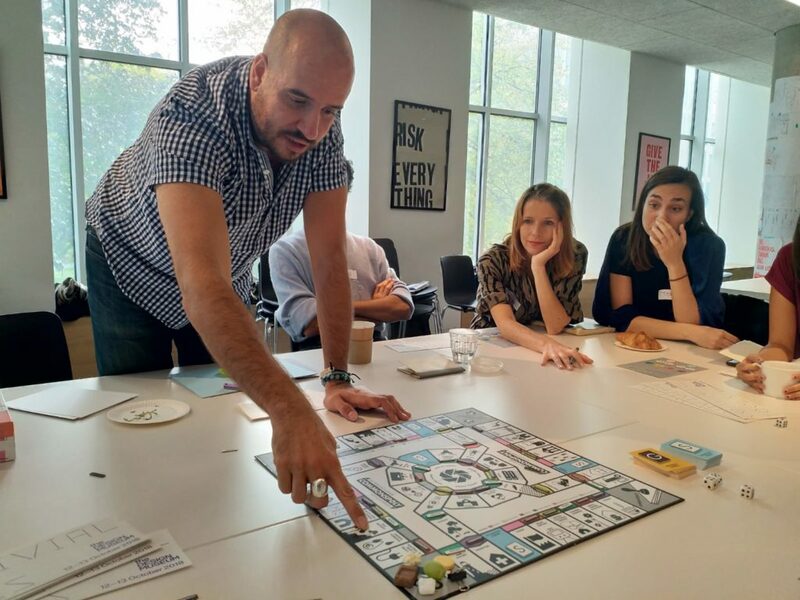 Commonspoly is a free licensed board game with which to reflect and playfully experiment with the possibilities and limits of commons oriented changes in our societies. For this day only players may introduce their own sci-fi inspired technologies and special powers to achieve their goal. This board game is a device to transport us, through fun and instruction, to a future in which cooperative ways of living together are the norm. 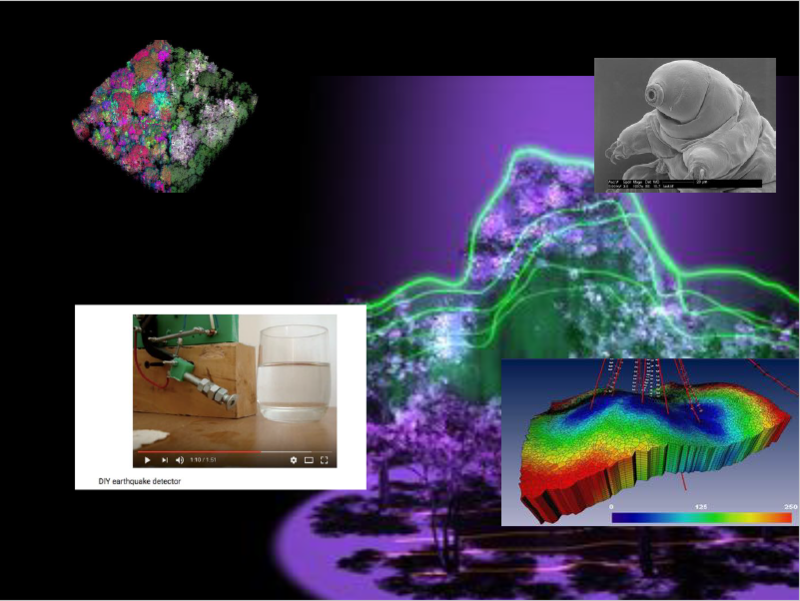 Investigating contemporary scanning practices for tectonic and cosmic imaging (such as Terrestrial Light Detection and Ranging, magnetic resonance, UltraSound, and Computer Tomography) together with fiction writers, earth techno-scientists and trans*feminist device problematizers. Come and find Finsbury Park’s hidden underground worlds. Readings and discussions of locally-inspired works of science fiction. 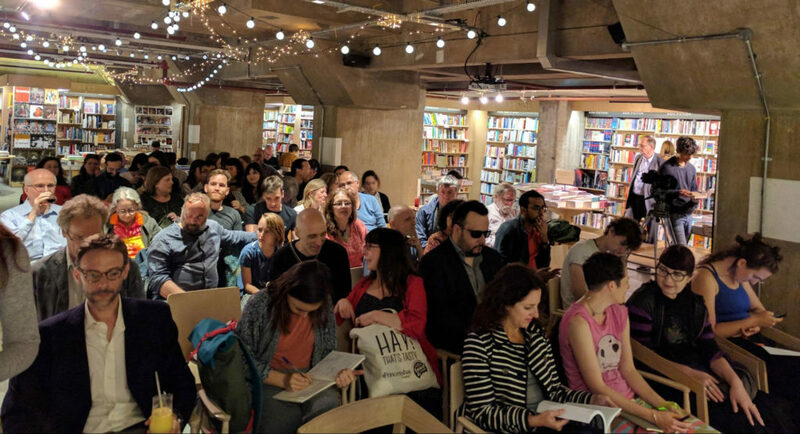 Writers Howard and Oram are immersing themselves in local culture, meeting and talking with residents, and consulting with scientists in order to create new stories about a Finsbury Park of the future. Future park self-governance starts with learning about present! We gather for a public reading of stakeholders meeting minutes in the style of the Theatre of the Oppressed. 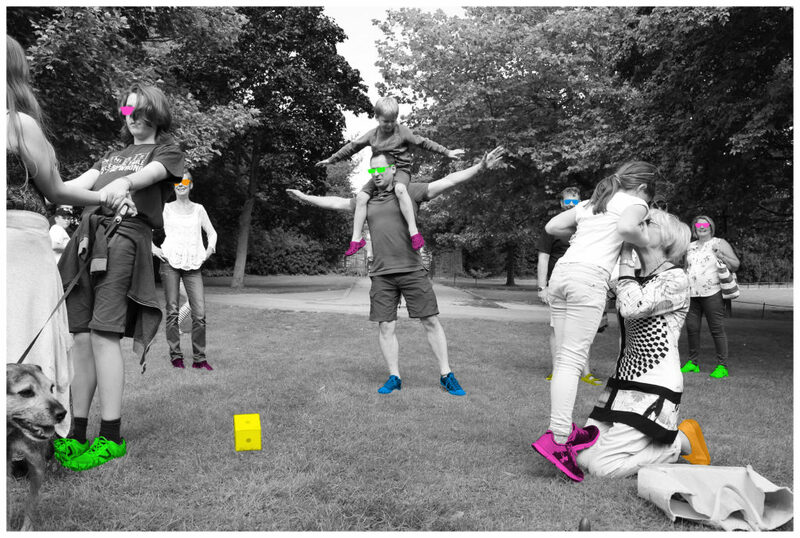 This is a part of Furtherfield Micro Residencies programme during which Larisa will experiment with a radical new form of peer production and set of innovative governance tools to engage all members of the public in the analysis of power and governance in the park. Larisa Blazic is a London based digital artisan, educator and feminist hacker with practice ranging from net.art to FLOSS art and design. In her most recent work, Data Union Fork, part of Vertigo STARTS Residency, she explores collective response to personal data abuses by state and corporate sector and creates experiments based on technologies developed within the DECODE project and investigates local governance in Local&&Ledger project. Feminist Internet is a group of artists and designers working to advance online and offline equalities for women and other marginalised groups through creative and critical practice. Mud Howard (they/them) is a gender non-conforming poet, performer and activist from the states. mud creates work that explores the intimacy and isolation between queer and trans bodies. mud is a Pushcart Prize nominee. they are currently working on their first full-length novel: a queer and trans memoir full of lies and magic. they were the first annual youth writing fellow for Transfaith in the summer of 2017. their poem “clearing” was selected by Eduardo C. Corral for Sundress Publication’s the Best of the Net 2017. mud is a graduate of the low-res MFA Poetry Program at the IPRC in Portland, OR and holds a Masters in Creative Writing from the University of Westminster. you can find their work in THEM, The Lifted Brow, Foglifter, and Cleaver Magazine. they spend a lot of time scheming both how to survive and not perpetuate toxic masculinity. they love to lip sync, show up to the dance party early and paint their mustache turquoise and gold. Stephen Oram writes thought provoking stories that mix science fiction with social comment, mainly in a recognisable near-future. He is one of the writers for SciFutures and, as 2016 Author in Residence at Virtual Futures – described by the Guardian as “the Glastonbury of cyberculture” – he was one of the masterminds behind the new Near-Future Fiction series and continues to be a lead curator. Oram is a member of the Clockhouse London Writers and a member of the Alliance of Independent Authors. He has two published novels: Fluence and Quantum Confessions, and a collection of sci-fi shorts, Eating Robots and Other Stories. As the Author in Residence for Virtual Futures Salons he wrote stories on the new and exciting worlds of neurostimulation, bionic prosthetics and bio-art. These Salons bring together artists, philosophers, cultural theorists, technologists and fiction writers to consider the future of humanity and technology. Recently, his focus has been on collaborating with experts to understand the work that’s going on in neuroscience, artificial intelligence and deep machine learning. From this Oram writes short pieces of near-future science fiction as thought experiments and use them as a starting point for discussion between himself, scientists and the public. Oram is always interested in creating and contributing to debate about potential futures. Possible Bodies is a collaborative research project, interrogating the concrete and at the same time fictional entities of “bodies” in the context of 3D-tracking, -modelling and -scanning. Jara Rocha is an independent researcher/mediator who tends to attend to the semiotic-material urgencies of present cultures with a trans*feminist sensibility. Works with infrastructural politics and aesthetics, text logistics, body inscriptions and tests non-formal ways of learning in collective situations like Euraca Seminar, Las promesas de los algos, Relearn Summerschool, or The Darmstadt Delegation. 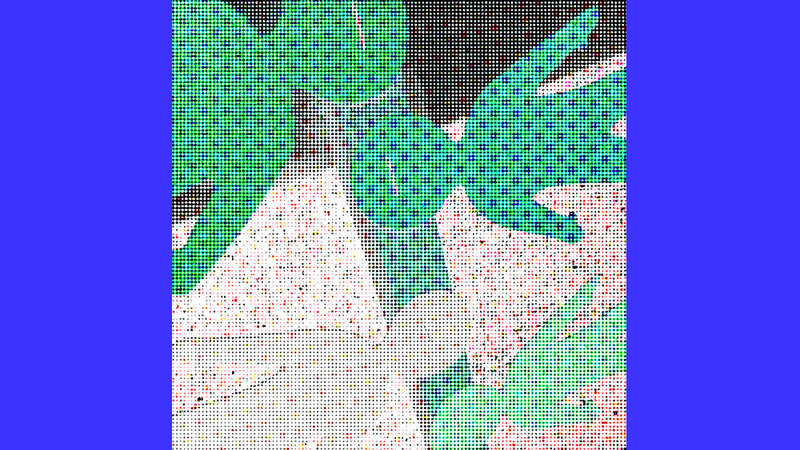 Femke Snelting works as artist and designer, developing undisciplined research at the intersection of feminisms and free software. In various constellations she explores how digital tools and cultural practices might co-construct each other. She is member of Constant, a non-profit, artist-run association for art and media based in Brussels. Helen Pritchard is an artist and researcher, whose interdisciplinary work brings together the fields of Computational Aesthetics, Geography and Feminist TechnoScience. Helen’s practice is both one of writing and making and these two modes mutually inform each other in order to consider the impact of computational practices on our engagement with environments. Helen is the head of Digital Art and a lecturer in Computational Art at Goldsmiths, University of London. Helen Stratford and Idit Nathan – Working collaboratively as Play Anywhere Now or Never! and combining backgrounds in theatre and architecture, Idit and Helen have worked in partnership with Wysing Arts Centre, Kettles Yard, Cambridge and METAL and in locations across the UK (Bristol, Sunderland, Peterborough, Southend and London). In 2015 they formulated Play The City Now or Never! (PCNN) working with METAL Peterborough and Southend to develop the PCNN App, a site-specific geo-locative App for mobile devices positioned at the intersection of art, play and technology. The PCNN App, like other low-tech resources they have developed, such as a compilation of games and scores as well as DIY die, solicits playful engagement with spaces and sites. Other recent and ongoing collaborative projects include developing a mobile artwork for Yorkshire Sculpture Park as well as walkshops for Cambridge Junction, Festival of Ideas Cambridge, CounterPlay ’16 Aarhus, Wellcome Trust, Live Art Development Agency and the National Theatre. Jason Wilsher-Mills is a disabled digital artist who is based in the East Midlands, using iPads to create paintings which detail his disability, childhood memories, popular culture, social history/heritage, creating new biographical narratives, through theatrical artifice and humour. He initially painted traditionally, with oils, but since becoming disabled has found the iPad screen more manageable – affording him the opportunity to create large pieces of artwork, through high-resolution files, modern Giclée printing methods & projection methods. It has also given him the chance to work collaboratively, due to its connectivity and accessibility. The primary themes of his work include memory, childhood, disability and illness. In parallel to his own artistic practice Wilsher-Mills conducts public art commissions and residencies working primarily with learning disabled collaborators on wild and wacky interactive sculptures. Martin Zeilinger is a London-based interdisciplinary researcher, curator, and media practitioner. Currently he works as Senior Lecturer in Media at Anglia Ruskin University (Cambridge/UK), and also serves as curator of the Vector Festival (Toronto/CAN). His research interests include digital art, appropriation-based art practices, experimental uses of financial technologies in contemporary art, theories of cultural ownership and intellectual property, political economies of new media, live coding and creative computing, videogame culture, and experimental game art. A native New Yorker now living in Spain, Ann Marie Utratel is part of the P2P Foundation global core team, focused on advocacy and infrastructure. Her work helps connect a widening network of people involved in forward-thinking communities including the P2P/Commons movement, activism, open licensing, environmentalism, alternative currencies, collaborative economy, cooperativism, and more. She is also a co-founder of Guerrilla Translation, a P2P translation collective. Stacco Troncoso is the advocacy coordinator of the P2P Foundation as well as the project lead for Commons Transition, an organization dedicated to spreading and strengthening the Commons worldwide. He is also co-founder of the P2P translation collective Guerrilla Translation. His work in communicating commons culture extends to public speaking and relationship-building with prefigurative communities, policymakers and potential commoners.